Justin Rose was officially unveiled as the centerpiece of Honma Golf's Tour staff on Tuesday, but there's a good chance he won't be the company's only signing. Rumors have been circulating for the last month that Honma could ink anywhere from two to three players in an effort to bolster their presence on the PGA Tour this season. 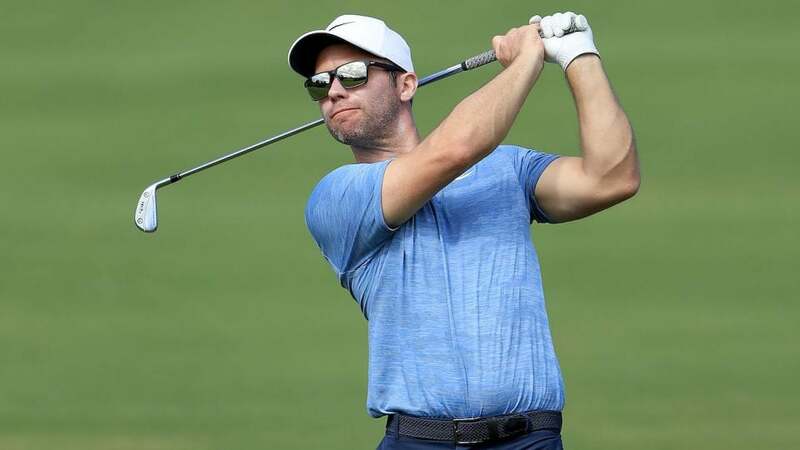 One of those players could be Paul Casey, who was photographed with a Honma TW-U Forged utility iron in his hands at the Sentry Tournament of Champions. Nike's hard-goods exit more than two years ago saw Casey sign a metalwoods-only deal with TaylorMade in 2017, but he's remained a free agent with the rest of his setup. Until this week, Casey's setup consisted of TaylorMade woods, Mizuno irons, Titleist Vokey Design wedges and a Scotty Cameron. It's not yet clear if Casey and Honma have a deal in place, or if he's merely testing the utility iron on the course, but the timing is interesting with the Rose signing and the fact that Casey has played a full set of Mizuno irons almost exclusively since the start of 2017. A Casey-Honma staff deal would mean that at least three equipment free agents would be off the market for this season after Kevin Na announced he was joining Callaway and Gary Woodland was photographed with a Wilson Staff hat. Over the last few years, some players had started to consider the idea of playing on Tour without guaranteed equipment contracts. Casey, Na and Woodland all won last season without full staff equipment deals, further reinforcing the trend of players finding success with bag setups optimized to their strengths. Casey starts the week ranked 22nd in the Official World Golf Ranking with two career PGA Tour wins.